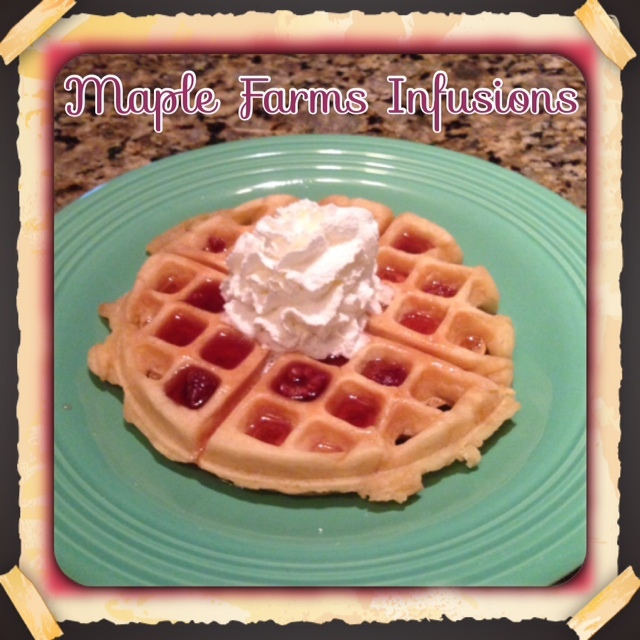 Maple Farms Infusions Review and Giveaway - Who Said Nothing in Life is Free? As many of you may have realized by reading my posts over the years, I have a HUGE sweet tooth. I have a deep love for desserts and now I pretty much can have dessert for breakfast by adding infused maple syrup from Maple Farms Infusions on top of my waffles. They are amazing and add such an incredible uniqueness to your breakfast! 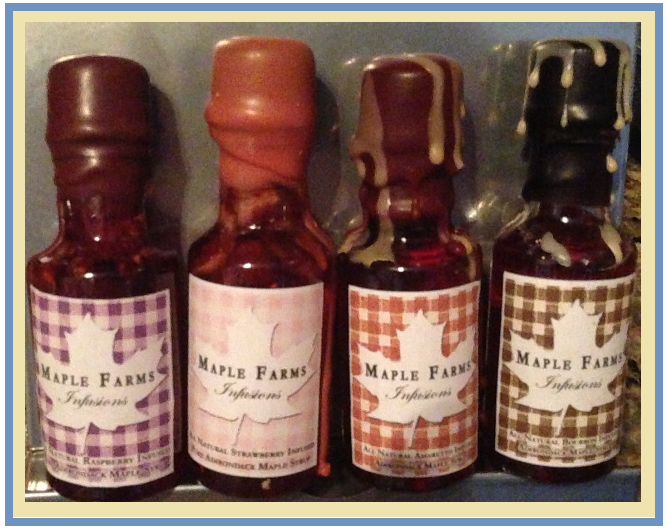 I was sent several flavors to try and my favorite was the Raspberry Infused Maple Syrup. It was so sweet and delicious. I wish I had a huge bottle of it. My next favorite was the Amaretto Infused Maple Syrup. It was truly like eating a dessert. The Bourbon wasn’t as bourbony as I thought it might be and it was Kyle’s favorite. 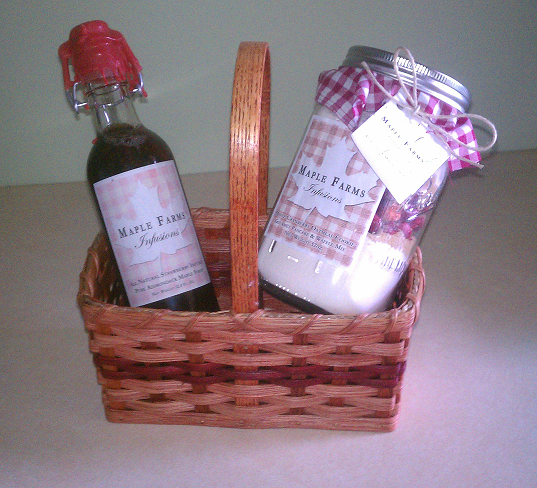 Make sure you “Like” maplefarmsinfusions on Facebook to keep up with all the latest news and promotions. To enter, leave a comment stating which syrup you would like to try the most. Irish Cream Infused Maple Syrup sounds yummy! Amaretto Infused Maple Syrup would be my choice. They all sound really good. Wow, talk about hard to pick one! I would probably choose the blueberry infused syrup. So many of them sound amazing. bourbon infused syrup I think! Cranberry Infused Maple Syrup sounds good! The blueberry infused syrup sounds yummy! I would have to pick btw the blueberry and strawberry infused syrup. The all sound yummy though!! I would choose the Blueberry Infused Maple Syrup! Oh my! I am so tempted to choose one of the liquor infused syrups but my super picky eater kids would love these, so for their sake I will pick the Strawberry infused syrup. They all sound so yum!! It’s a toss up between the Irish Cream or the Raspberry. I’d love to try the amaretto maple syrup! I love anything almond so I would take like to try the amaretto. I think I would like the apple infused syrup the most. I always love the blueberry muffin flavor but I love all the flavors in here, anyway – followed you in all your social sites and subscribe also to your email, thanks for this!!!! I’m sure we would love to try the blueberry at our house! I did all you said. It is a toss up between the apple infused or raspberry infused syrups. The Amaretto Infused Maple Syrup sounds divine! YUM. They all sound so yummy, but I will say my favorite would be the apple. the cranberry infused maple syrup sounds great. It’s so hard to choose–they all sound so good. I think I’d most like to try the apple infused maple syrup, though. I would like to try the peach infused! I would like to try their ◾Espresso Infused Maple Syrup.